Homegoing is 2016 novel that follows the descendants of two black half-sisters: one married to a British officer, the other sold into slavery in the U.S.. 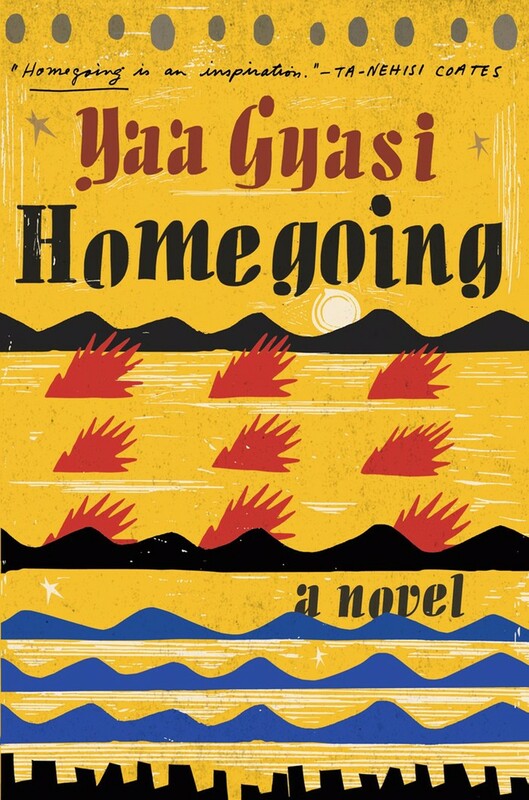 It was written by Yaa Gyasi, a Ghanaian-American novelist born in 1989. The font used for the book title on the cover is Allegro. Allegro is a serif typeface inspired by the Didone style dating from around the start of the nineteenth century, that emphasized alternation of very thick and very thin strokes. Allegro is particularly used for decorative purposes, such as on book jackets. The serif typeface was originally designed by Hans Bohn for the Ludwig & Mayer type foundry of Frankfurt, and released in 1936. Bitstream digitized it and it is now available for sale at Myfonts.com. The Allegro font identified above is not available for free, please follow the link above and purchase the font. Meanwhile, you can take a look at our collection of fonts for cars, pop music and apparel as well as round-ups of new & fresh fonts around the web. In addition to Homegoing, It seems we can’t find other examples (logos, movie posters, album covers etc.) of Allegro typeface in use.